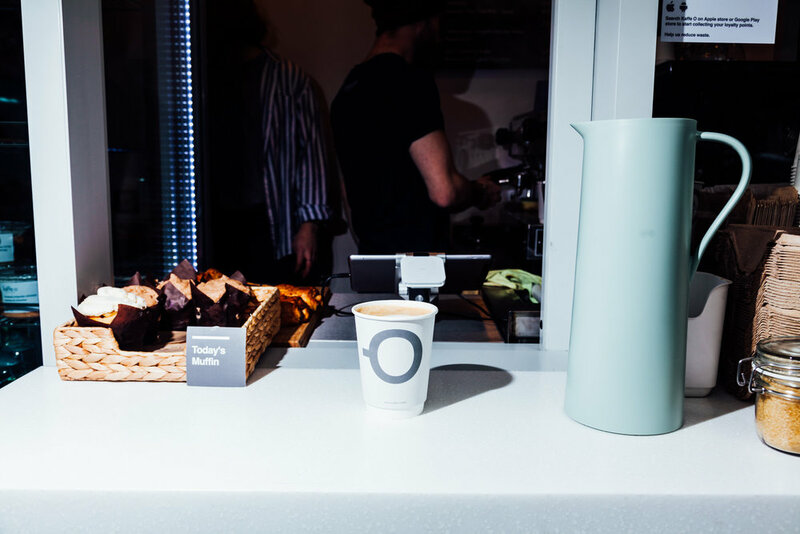 Inspired by the amazing coffee culture and design in Copenhagen, Kaffe O is an independently owned cafe and online store selling hand roasted Nordic coffee, ceramics and locally designed merchandise. Visit our kiosk in Donegall House, Donegall Square North, Belfast. 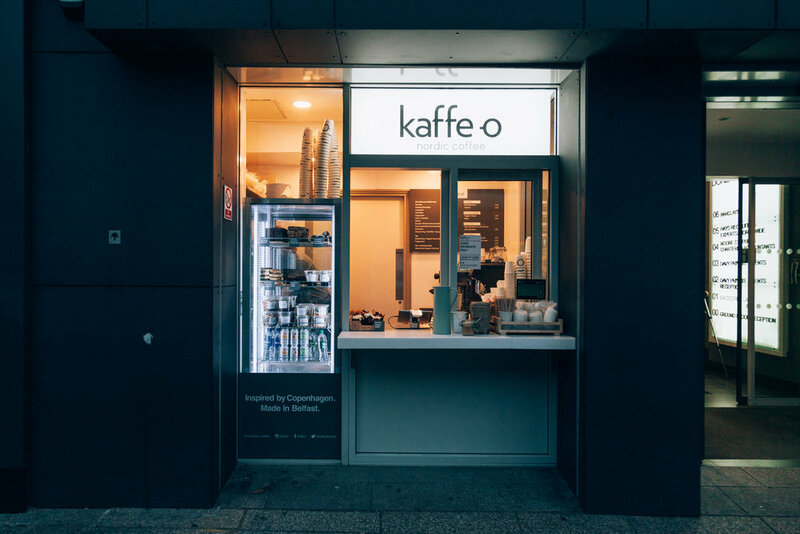 Slap bang in the heart of the City Centre is our newest addition to the Kaffe O family. Within eye shot of the front door of the City Hall is our Kiosk, situated in Donegall House, Donegal Square North. Serving our signature blend, sweet treats, breakfast and lunch out of our hatch window to the city centre masses. 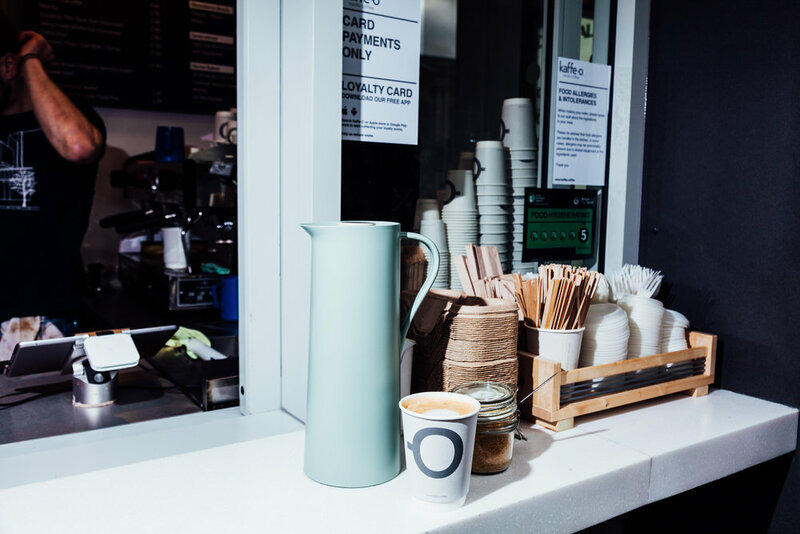 Our approach in the Kiosk to coffee is simple. 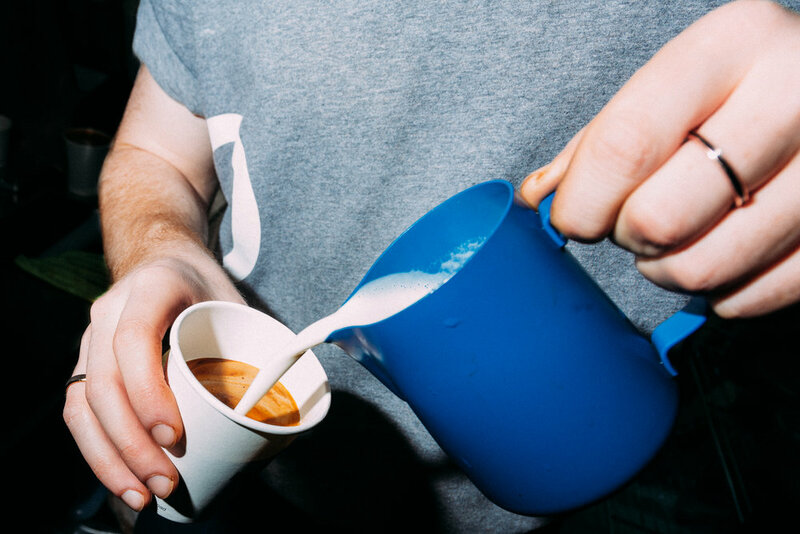 We are a pure espresso bar serving up double shots of hand roasted coffee in all our coffees, from macchiato and long blacks to flat whites, lattes and all variations in between. Hand roasted in Copenhagen and shipped straight from roast to Belfast, the beans are never more than three weeks from roast. The coffee is ground on demand by the Nuova Simonelli Mythos and made with love on a beautiful La Marzocco Linea PB. Our approach to food is also simple. We believe in real food. All our food for the kiosk is made in our Botanic site and delivered fresh each morning. We only use the highest quality raw ingredients and we only select suppliers who share our vision, ethos and philosophy. We have a smaller food offering in our Kiosk for those looking for breakfast, lunch or treats on the go. All to go packaging in our stores- cups, lids, bowls, bags, yep anything you take away from us is fully compostable. So please, please put in your food bin and if you don’t have one, give it back to us and we will put it in ours! It really does make a difference.